Hi everyone! I'm new to the blog, my name is Ruth Bleakley and I have been bookbinding since 2002 (has it been that long already?). I love brightly colored designs and work with Japanese paper to make a lot of yuzen and/or chiyogami journals - you may have also seen my illustrated miniature books on Etsy. I also make nautical wedding invitations and stationery under the name Concertina Press. 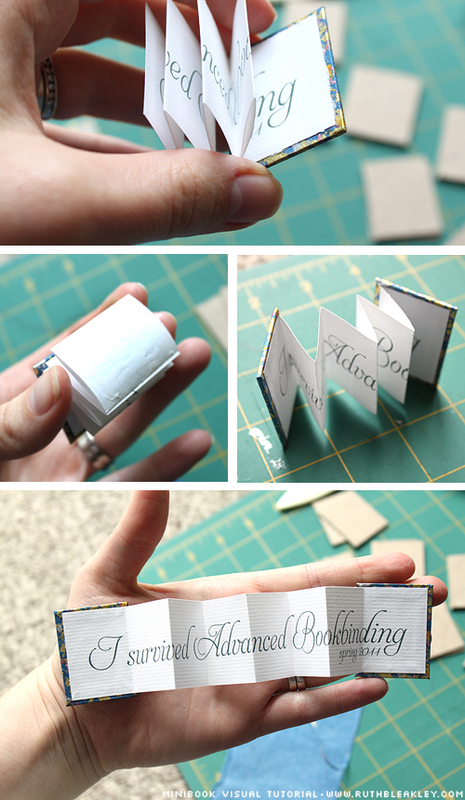 But enough about me - here's a tutorial I made about miniature accordion books that I thought you might enjoy, republished from my bookbinding blog. I figure that many of you, since this is a bookbinding blog, will be able to follow along, but if you'd like written directions, you can visit my original minibook tutorial post. Some notes: the boards I used were scraps from the back of a notepad - I tested them with my PH pen to see if they were neutral, and then went ahead. the paper is 8.5x11 (regular US letter size) cut into strips in the short direction, I believe they are 1.5"x8.5", grain short (so the accordion folds more easily) but it's been a while. The glue I used is PVA. Ruth is also on Pinterest, Twitter and Flickr. Thanks for sharing this Ruth! 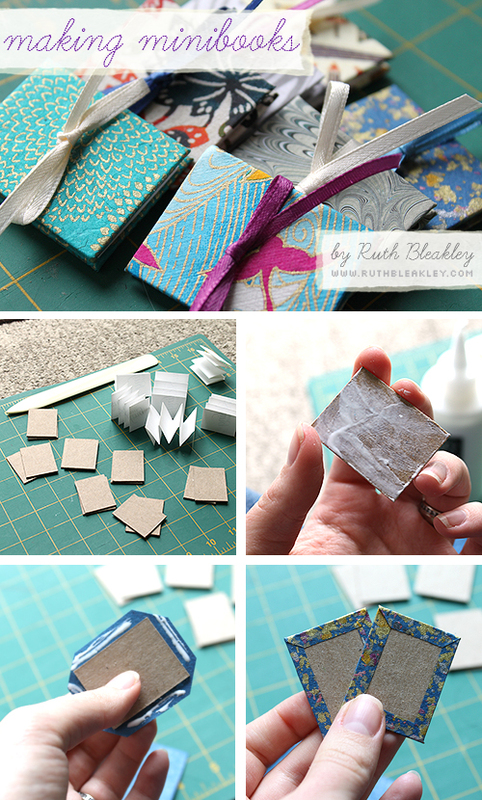 I remember the first time I discovered accordion books and how to make them--it was such a thrill to be able to make these delightful little books myself. I hope this tutorial brings that joy to someone else! Very cute! I love it. Can't wait to make one myself. Oh wow! This is great! Thank you for your tutorial. It reminds me to keep passing along what I learn.